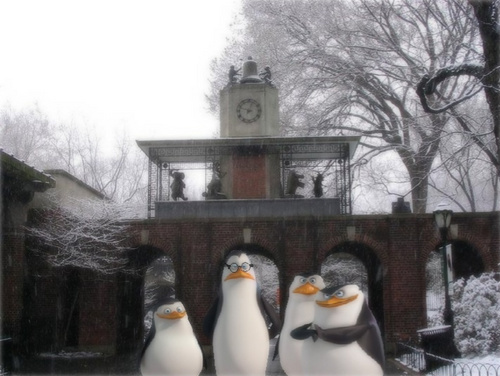 The Delacorte Clock _ Central Park Zoo. Us at the REAL Central Park Zoo..Yes, there is a real Central Park Zoo everyone.. That is the Delacorte Clock behind us. =D. Wallpaper and background images in the पेंग्विन्स ऑफ मॅडगास्कर club tagged: penguins of madagascar skipper penguin private kowalski rico picture madagascar new york city central park.